If you're like most property managers we've met, you're swamped come the first of the month. Who has time to keep up with it all? Rentables takes the pain out of the accounting and bookkeeping chores that bog you down. Plus, our robust accounting engine helps you stay compliant without the complexity of other solutions. 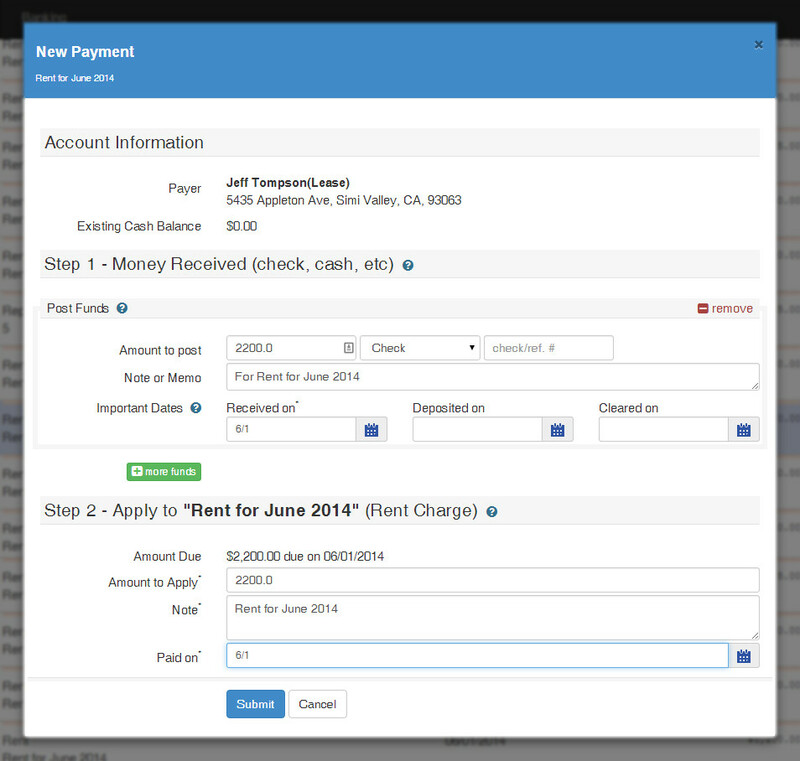 Recording rents received, paying owners, and generating monthly statements couldn't be easier. This process is simple enough, but what about the accounting required to stay compliant in your state? For instance, California requires you to maintain separate ledgers for each property and each beneficiary with funds in your trust account. Paper ledgers, Excel, QuickBooks, and no records - we've seen it all. With Rentables you fill in a simple form and we maintain all the accounting for you. No journal entries, T-accounts, or other accounting jargon, just easy to understand plain English. If the time ever comes when you need ledgers or beneficiary reports, they are just a click away. 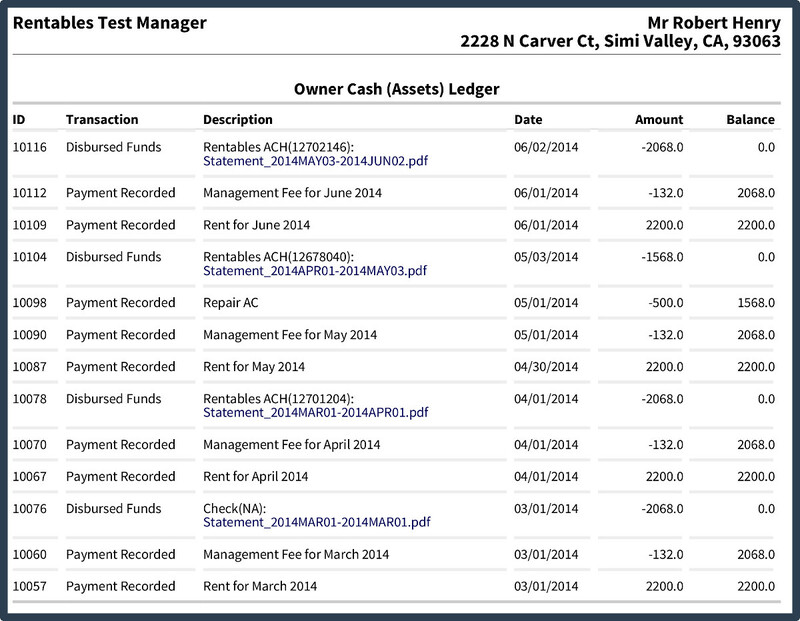 Rentables makes accounting compliance and running your property management business easy! Forms are pre-populated minimizing data entry and eliminating errors. Just review and click submit. 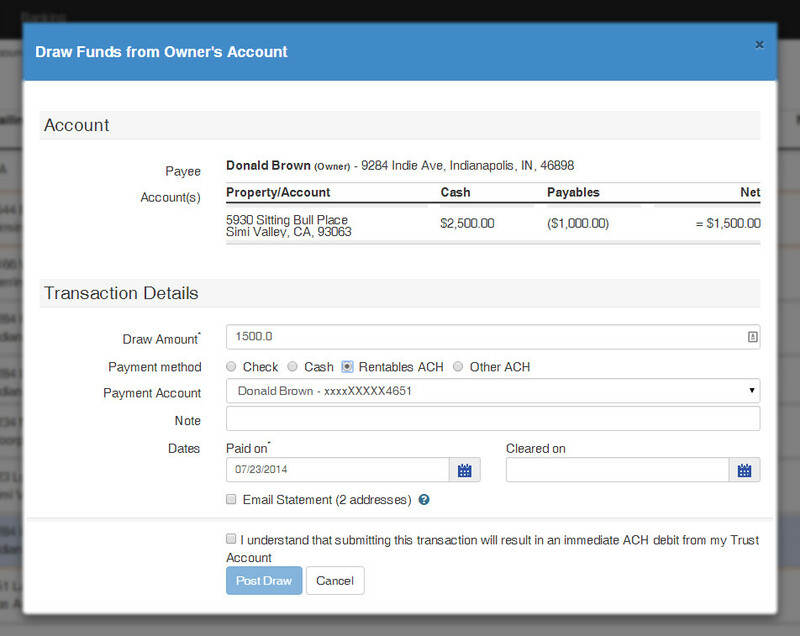 Paying owners couldn't be simpler, especially if you use Rentables ACH. Review the details, click the "Email Statement" checkbox and you're done. If you're not using property management software then chances are generating and sending owner statements each month is a real hassle. 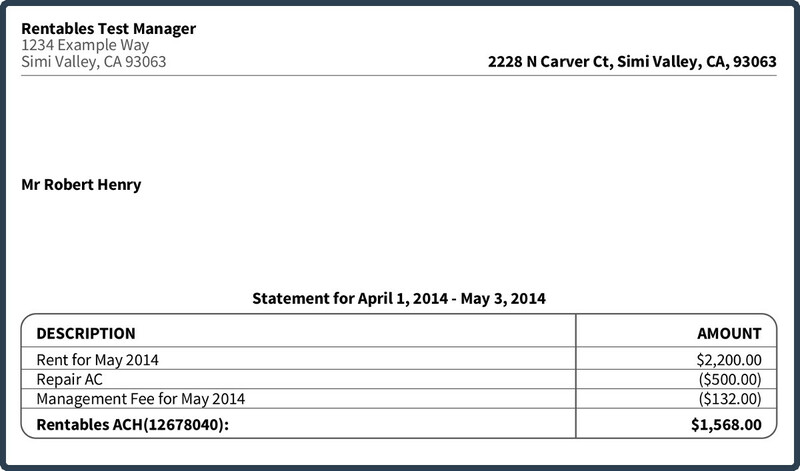 In Rentables all you have to do is check the "Send Statement" box and we'll take care of the rest. Your owners will receive an email notifying them that a payment is coming along with their monthly statement and invoices for any repairs. Nobody wants to hear the word "audit" but the fact is regulatory agencies across the country are getting more aggressive with property management compliance enforcement. The good news is, Rentables can help you get compliant and stay compliant. Nearly every state requires property managers to keep rigorous accounting records for all funds they receive and disburse on behalf of others (such as a property owner). Even if you only manage a handful of properties this can get complex - rents, security deposits, forfeited deposits, repairs - it's a lot. The most important aspect in Trust Accounting is being able to show exactly who every dollar in your trust account belongs to and being able to substantiate how you got there.